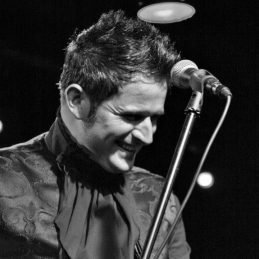 Ciaran Gribbin is a Grammy-nominated songwriter and performer who, in addition to working with world class artists such as Madonna, U2, Paul McCartney, Snow Patrol and Al Pacino, has toured the world as the singer of INXS. Ciaran was born during the Northern Ireland conflict and grew up in The Troubles. As a young musician he cut his teeth doing gig after gig in the tough bars of Belfast and Derry. During this turbulent time, Ciaran witnessed the bombs and bullets of sectarian violence and the paramilitary attacks that enflamed a divided society. He is an accomplished keynote speaker using his life experience as a base. In 2011, Ciaran became the singer of the legendary Australian band INXS. He has toured extensively with INXS throughout South America, Europe and Australasia. 2015 ended with an Oscar shortlist nomination for Ciaran’s song Hey Baby Doll, which was sung by Al Pacino in the critically-acclaimed movie Danny Collins. One of Ciaran’s unique corporate offerings is his interactive workshop called ‘Rock and Roll Team Building’. For those seeking an experience to engage, motivate and inspire an audience in a fun environment Ciaran’s workshop is truly something great. The music based workshop will have your audience express their creative side with singing, dancing whilst enjoying the universal language of music. A key component of the workshop is the memorable opportunity for the group to write an original song with a Grammy nominated songwriter. Using the theme of the event as the title the signwriting component is also a unique way reinforce important business messaging in a fun and relaxed environment. Rock and Roll Team Building workshops are adaptable and can be delivered for any group size – it’s the most fun anyone will have at a corporate event!